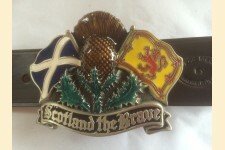 Selected traditional style buckles available in a wide choice of buckle finish, leather colour and length. 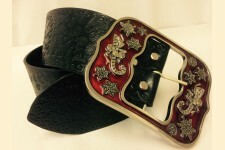 Each belt is cut from the hide, edged, creased, stained and stitched by hand. 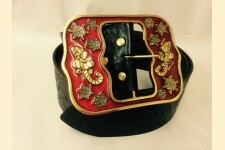 Using traditional methods passed down through the generations, these belts are made to last. 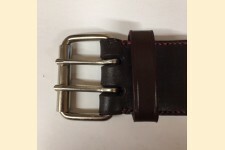 Using the best quality English Bridle Leather and the finest hardware, we create a range of belts suitable for formal or leisure wear. 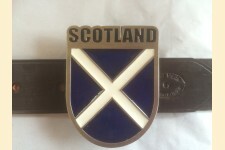 As each item is handmade and personalised for you, we are able to provide any size of belt, from small sizes to extra long belts. 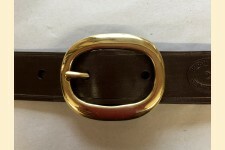 All belts can be made up to 60" in length if required. 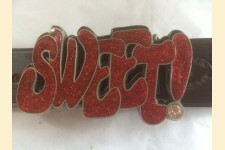 If you wish to have additional embossing, names, initials or any other embellishment, we would be happy to discuss your needs with you prior to order. 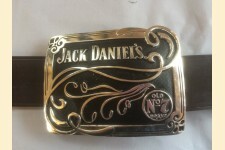 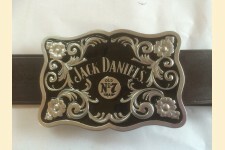 A smart, neat belt for the pat..
A genuine Jack Daniels feature..
A real favourite with connoiss.. 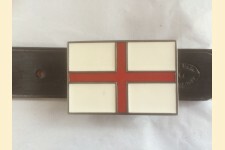 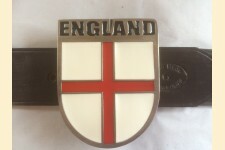 Ideal for use with your own bu..
A truly classic belt with soli..
A beautifully handmade and ful..
A Patriotic belt, hand stitche..
A Pewter Grafitti buckle belt ..
Based on our Draper range, we ..